‘Acute hospital beds are being occupied by people waiting for neurorehabilitation ‘: Trinity Brain Health Expert. Trinity College academic Sabina Brennan today (Tuesday 15th March) highlighted the patchy, under-resourced neurorehabilitation facilities and services in Ireland. 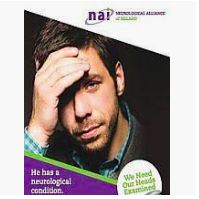 As it is Brain Awareness Week, and because of the recent debate about concussion, and its effects, Sabina believes that it is hard not to call the availability, or the lack of, neurorehabilitation services in Ireland an outright scandal. She went on to say: “Most people take for granted that services will be available after diagnosis/onset of a neurological condition like stroke, acquired brain injury or MS but that is not the case at all. There is one specialist national centre in Dun Laoghaire, with waiting lists of over six months for a bed, so many families are forced to travel abroad and then lose vital gains when they return home because there are no follow-up services. Following the issue of this press release NewsTalk included an interview with Sabina Brennan in News Bulletins on Saturday 19th March 2016.